Bebe (Rayo Vallecano) steadies himself and bends in a shot from the edge of the box towards the top of the net, but Fernando Pacheco has it covered and makes a comfortable save. The referee points to the corner flag and Rayo Vallecano will take a corner. The attendance for today's match is 13982. Bebe (Rayo Vallecano) receives a yellow card. Alaves have a chance to score from a corner kick, but the ball is cleared by a defender. Jonathan Calleri (Alaves) sends a cross into the box, but the opposition's defence clears the ball to safety. The ball goes out of play. Alaves are awarded a corner kick. One of the players from Alaves times his run too early and the referee blows his whistle for offside. Alvaro Medran (Rayo Vallecano) is punished with a yellow card for violating the rules. Jonathan Calleri (Alaves) latches on to a precise cross and hammers the ball goalwards, but it flies just wide of the right post. The ball goes out of play and Rayo Vallecano will have a goal kick. Mario Melero Lopez interrupts the game for a tactical foul by Luis Advincula (Rayo Vallecano). Michel decides to make a substitution. Raul De Tomas will be replaced by Alvaro Medran (Rayo Vallecano). Santiago Comesana (Rayo Vallecano) gets booked for the first time in this match. Gianelli Imbula (Rayo Vallecano) picks up a caution. Fernando Pacheco (Alaves) is punished with the yellow card. Luis Advincula (Rayo Vallecano) delivers a fine lofted cross into the penalty area, but it's cleared by an opposing player. The referee signals that it is time for a substitution and Bebe (Rayo Vallecano) will replace Oscar Trejo. The corner is bent into the box and met with a firm header by Darko Brasanac (Alaves), but it's just wide of the left post. The ball goes out for a corner. Rayo Vallecano can continue in their attacking effort. After the VAR review the referee signals NO PENALTY, play can continue. Referee Mario Melero Lopez gets a signal in his ear and goes over to the VAR monitor to check whether it’s a penalty! PENALTY APPEAL after John Guidetti (Alaves) goes down under a challenge from the defender. All players chase the referee but he's not interested in the penalty claim. Play continues. Here is a change. Borja Baston is going off and Abelardo gives the last tactical orders to John Guidetti (Alaves). Substitution. 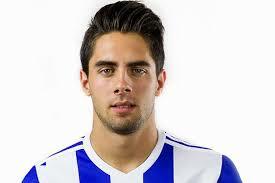 Ruben Sobrino (Alaves) replaces Burgui. A long cross from the side is directed to the well-positioned Jonathan Calleri (Alaves), but the defence gets it clear. Jony picks out Mubarak Wakaso (Alaves), who makes a total mess of his shot from mid-range and sends the ball high over the bar. Gianelli Imbula (Rayo Vallecano) connects with a pass but sees his shot from the edge of the box blocked. Alex Moreno (Rayo Vallecano) is yellow-carded. Alvaro Garcia (Rayo Vallecano) latched on to a precise cross, but his bullet header missed the target. He should have done much better. Mubarak Wakaso (Alaves) tries to catch the keeper off guard from long range, but the effort sails well wide of the right post. Abelardo has decided to make a change. Jony (Alaves) replaces Manu Garcia. Oscar Trejo (Rayo Vallecano) commits a foul during an attacking move. The referee signals that it is time for a substitution and Alvaro Garcia (Rayo Vallecano) comes onto the pitch so that Adri Embarba can be given a rest. Mario Melero Lopez couldn't ignore the rough tackle by Mubarak Wakaso (Alaves) and blew his whistle. Alaves take the corner, but their hopes of scoring a goal end with a nice clearance by the defence. Martin Aguirregabiria (Alaves) reacts well to get to the rebound and takes a shot from the edge of the box, but he fails to get the ball through the players standing between him and the goal. Alaves have a corner. Victor Laguardia (Alaves) hasn't suffered any serious injury which would see him leave the pitch. He's back in the game now. Victor Laguardia (Alaves) is clearly asking for some medical attention with his painful gestures. The extent of his injury is yet to be discovered. Manu Garcia (Alaves) rises highest from the corner to head at goal, but his effort towards the middle of the goal is comfortably saved by the goalkeeper. The referee shows the yellow card to Guillermo Maripan (Alaves). A cross to the edge of the box finds Jonathan Calleri (Alaves) who takes a nice first touch and tries to beat the keeper with a quick shot towards the bottom right corner. Stole Dimitrievski pulls off a good save and the score remains the same. Raul De Tomas (Rayo Vallecano) commits a rough challenge and Mario Melero Lopez blows his whistle for an infringement. A poorly executed mid-range free kick by Ruben Duarte (Alaves) as he fails to deliver a decent cross. Santiago Comesana (Rayo Vallecano) pulls the jersey of one of the opposition players and Mario Melero Lopez blows his whistle for a foul. It’s tense out there as the referee has decided to review the penalty decision using the VAR. He makes his way over to the monitor. PENALTY APPEAL by Alaves, but the referee thinks it was a fair challenge and play continues! A cross from Burgui (Alaves) fails to reach the box as the defence clears the ball away to safety. Alaves force a corner. Their opponents will face another attacking threat. Luis Advincula produces a beautiful lofted cross into the box, where Raul De Tomas (Rayo Vallecano) rises high to head the ball into the left side of the goal and beyond the goalkeeper. He makes it 0:1. A lofted cross finds an unmarked Raul De Tomas (Rayo Vallecano), who leaps high and powers a header at goal. However, his header goes miles past the right post. Poor effort. It looks like Mubarak Wakaso (Alaves) saw red with that tackle. Mario Melero Lopez won't tolerate such behaviour on the pitch and blows for a foul. Mario Melero Lopez has ended the first half by blowing the whistle. Off the post! Burgui (Alaves) amazingly found his way through the defence, but lacked a precise finish as his effort from close range bounced off the right post. Abdoulaye Ba (Rayo Vallecano) gets his head on the corner, but he can't find the target as his header flies high over the crossbar. The ball goes behind for a corner. Rayo Vallecano will have an opportunity to threaten the opposition's goal. Alex Moreno (Rayo Vallecano) plays in a hopeful cross, but it doesn't find its way to any of the attacking players. A cross by Alex Moreno (Rayo Vallecano) from the side of the pitch flies into the box, but fails to find its intended target as the aim was poor. The ball goes out of play and Alaves will have a goal kick. Mubarak Wakaso (Alaves) whips the ball into the penalty area, but one of the defenders is alert and spanks it away. Borja Baston (Alaves) fouls an opponent. At least that's what referee Mario Melero Lopez signals. Borja Baston (Alaves) makes a rough challenge and the referee blows for a foul. Luis Advincula (Rayo Vallecano) attempts to find the head of one of his teammates with a promising cross into the box, but a defender outjumps the attackers and averts the threat. The referee and his assistant both point at the corner flag. Rayo Vallecano will have an opportunity to threaten the opposition's goal. Burgui (Alaves) nearly creates a chance, but his attempt to pick out a teammate with a through ball does not come off. The linesman raises his flag. Abdoulaye Ba (Rayo Vallecano) is adjudged offside. Manu Garcia (Alaves) commits a foul after bringing down his opponent with a slide tackle. Luis Advincula (Rayo Vallecano) sends a cross in and finds Adri Embarba inside the box, but one of the defenders steps in and clears the danger. Gianelli Imbula (Rayo Vallecano) volleys the ball towards goal from the edge of the penalty box, but one of the defenders blocks his shot. Emiliano Velazquez (Rayo Vallecano) commits a rough challenge and Mario Melero Lopez blows his whistle for a foul. A cross from a mid-range free kick, taken by Alaves, is intercepted by one of the defenders. Oscar Trejo (Rayo Vallecano) deprives his opponent of the ball, but the referee blows his whistle for a foul. He's not happy with the decision! Jonathan Calleri (Alaves) crosses the ball into the box, but one of the defending players averts the threat. Santiago Comesana (Rayo Vallecano) makes a strong challenge and Mario Melero Lopez blows for a foul. The referee and one of his assistants signal for a corner kick to Alaves. Luis Advincula (Rayo Vallecano) was too forceful with his tackle and Mario Melero Lopez interrupted the game to signal a free kick. Emiliano Velazquez (Rayo Vallecano) commits an ugly challenge. The referee sees it and immediately blows his whistle. Alex Moreno is the provider with a good cross and Luis Advincula (Rayo Vallecano) shows great determination to get to the ball on the edge of the box, but he blazes it high over the bar. Manu Garcia (Alaves) makes a reckless foul in order to win the ball from his opponent. Mario Melero Lopez has a clear sight of it and blows his whistle. Jonathan Calleri (Alaves) is penalised for holding. Mario Melero Lopez signals a set piece. Jonathan Calleri (Alaves) had a good opportunity when he latched on to a cross from the wing, but his strike wasn't accurate at all and the ball went well over the bar. The ball is off of the pitch and it's a goal kick for Rayo Vallecano. Jonathan Calleri (Alaves) rises high to meet a perfect cross, but luckily for the goalkeeper he steers his header just over the crossbar. Jonathan Calleri (Alaves) plants a nice towering header goalwards, but one of the defenders is in the right place at the right time and makes a vital clearance. The ball goes out of play. Alaves are awarded a corner kick. Burgui (Alaves) was too fierce in his attempt to get the ball from his opponent and Mario Melero Lopez blows for a foul. Alex Moreno (Rayo Vallecano) looks to break free, but an opposing player clears the ball away. The ball is out of play and Rayo Vallecano manage to earn a corner. Alex Moreno (Rayo Vallecano) produces a good strike that sails to the bottom left corner, but the goalkeeper shows great reflexes and dives to keep the effort from hitting the net. Oscar Trejo (Rayo Vallecano) trips an opposition player and Mario Melero Lopez signals a foul. Mubarak Wakaso (Alaves) tries to find the head of a teammate in the box but overhits the cross. Alaves will kick the game off.